Regular blog readers may remember that not so long ago I worked with the incredible Chloe Adkin. 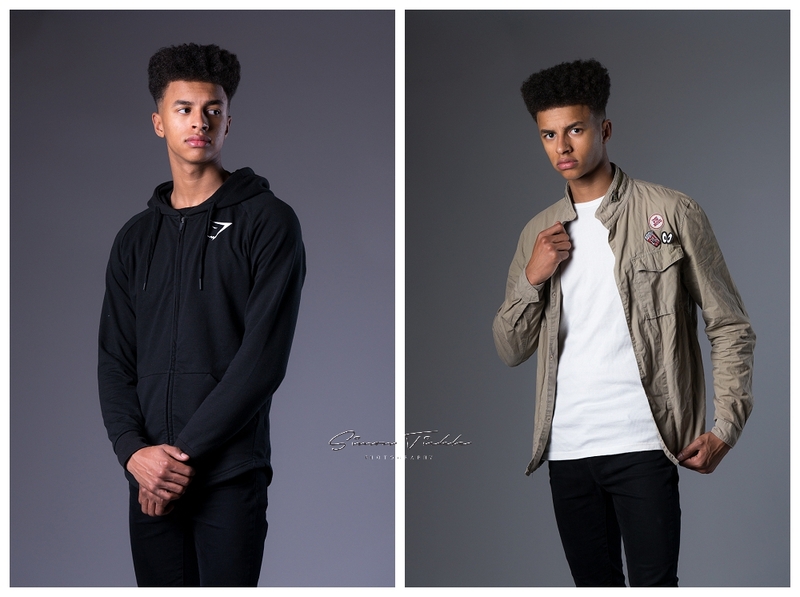 Soon after, Olorun (one of Chloe’s friends) got in touch to say that he was interested in getting involved with the modelling industry and would like to shoot some portfolio images. After discussion, we decided to split his portfolio session into two parts. First, we headed into the city centre and had a great time getting to know each other and creating a series of images with an ‘urban fashion’ theme. For the second part, we headed into the studio to shoot a series of headshots and portraits. Olorun was a joy to work with. If you’re a photographer in need of a young male model then Olorun comes highly recommended! If you’re interested in starting out in the world of modelling, or require updates to your existing portfolio, why not send me a message? I’d love to discuss the options with you.